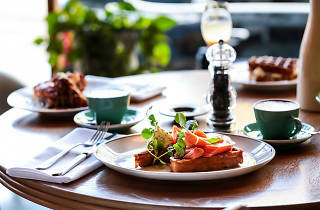 Woollahra's much-loved public house and dining room will now be offering locals a fresh new brunch option. Hotel Centennial will be ringing in the weekend with waffles, freshly shucked oysters, baked eggs and of course Bloody Marys and Champagne, every Saturday and Sunday morning. The menu is courtesy of executive chef Justin North who has driven the concept from idea stage to execution, taking three years to source some of the best produce from right across NSW. 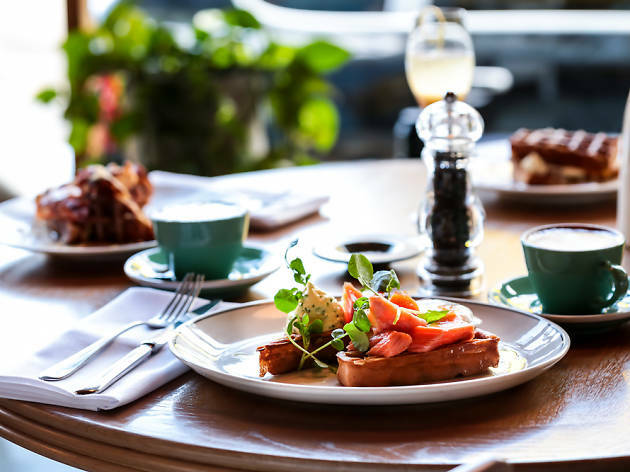 You'll find fresh baked goods by Infinity Bakery, butter from Tempe maestros Pepe Saya and eggs from Cornucopia biodynamic farm, complemented by produce from Hotel Centennial’s owners' own garden in the Hunter Valley, giving the menu a true farm-to-table feel. The star of the menu is set to be the sweet and savoury waffles – think smoked trout and fried eggs, topped with whipped herb butter – or, if you've got a sweet tooth, try the classic autumn waffle with roast figs, almond cream, pistachio and raspberries. There will also be baked eggs with grilled eggplant puree, or you can relive your childhood and order up soft boiled eggs with buttery toast soldiers. The inaugural weekend brunch at Hotel Centennial kicks off at 10am on Saturday March 18, and will be available on weekends from 10am there onwards.